Yesterday, about 350 Windermere Real Estate brokers gathered at The Hyatt Regency Bellevue to go over all the exciting new and big changes happening on the Eastside. The 2015 Eastside Windermere Kick-off offered invaluable information from four fantastic speakers. We heard from Jim Melby, President of Kemper Development; Greg Johnson, President of Wright Runstad; Trinity Parker, Community Relations for Sound Transit; and Matthew Gardner from Gardner Economics. Jim Melby discussed the Lincoln Square Expansion project with our brokers yesterday and highlighted what’s going into the new spaces in downtown Bellevue. As many have noticed, construction has already begun. This expansion will bring new retail space, a hotel, luxury apartments, and additional office space to Bellevue. The entire concept with these new spaces is to create an environment that improves customer experience. Kemper Development is building something that is easy and comfortable for guests and residents. From the speed ramps that allow you to easily navigate the parking garage to the community rooftop parks, they have thought of everything that can make you feel more welcome in Bellevue. The Spring District is a huge addition to the Eastside and it’s already happening! Greg Johnson walked our brokers through the changes coming to the newly emerging Spring District and everything it has to offer. Along the route of the upcoming Light Rail addition to the Eastside, The Spring District is 36 acres, or 16 city blocks, of urban development. Recovering and recycling materials from the industrial warehouses they’re replacing, Wright Runstad is making a one-of-a-kind community in Bellevue. They will have office space, a hotel, apartments, and parks in an area designed for people–not cars–to live in. In an effort to remain sustainable and green, they are also going to host local and small business focused retail spaces. Trinity Parker shared the exciting changes coming from Sound Transit. Over the next few years, the much anticipated Light Rail will make its way across I-90, through Bellevue, and over to Redmond-Overlake. With the influx of people moving to the area, we can only anticipate an increase in traffic congestion and Sound Transit ridership. They have already seen an exponential increase in daily riders and have made plans to accommodate the increasing population. East Link will be able to transport 50,000 daily riders! Early construction begins this year with a target open date of 2023. Matthew Gardner was happy to report that economic conditions are very favorable in the West Coast market, especially in King County and the Eastside. Unemployment continues to decrease in our area. Additionally, we can expect about 47,000-48,000 new jobs in 2015 thanks to the rising technology industry in Seattle and the Eastside. As expected, Millennials will be the homebuyers making a difference in the market this year. Although credit scores and student loan debt can make it harder for some to be qualified for mortgages, over 75 percent of Millennials see the value in buying a home. Everyone should be ready to work with them this year. There are a lot of great additions making their way into the Eastside! We can expect plenty of development to take place that will enhance the Eastside as a whole. From new buildings in downtown Bellevue to the expanding Light Rail, our communities will have plenty to look forward to this year. Windermere Eastside brokers know exactly where to take clients and what makes our neighborhoods so desirable. 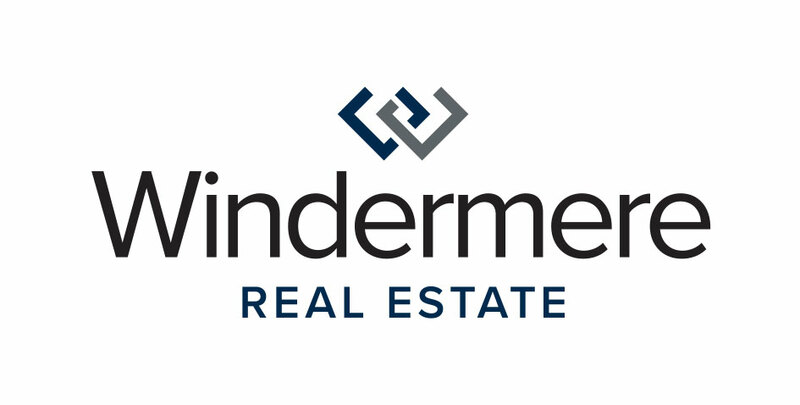 Windermere is always striving to bring up-to-date information and knowledgable speakers in to teach our brokers about the local market. This is just another way that Windermere is making sure that our Eastside brokers stay in-the-know on the changes in the local communities. Great presentations, thank you Windermere Eastside for hosting the event!